A holiday in Hungary is about beach vacations and water sports at Lake Balaton, great city breaks in cities such as Budapest and a wonderful nature. It is not a big country but there are lots of things to do here. If you are in need for relaxation you can visit one of the many Hungarian spas, or the thermal baths when staying in a self-catering holiday home in Southern Transdanubia. There are quite several spa towns and hot springs in the country. You can get spoiled by the pleasant water. In Budapest you will find a beautiful spa town at Szechenyi, with the largest public thermal baths in Budapest. The magical surroundings together with the great water, offer a unique source of well-being and benefits. If you think of Hungary, then you think of Budapest. It is a city of great caliber where culture, museums and history are very well represented. The Danube divides the city into two parts, Buda and Pest. The bridges like the ‘Elisabeth Bridge’ or the ‘Chain Bridge’ give this city that little bit of extra allure. A walk along the banks of the Danube together with the entire family is special and comfortable, and it is also romantic during sunset. If you like to shop, you can go from your holiday home in Budapest to the city center, with the Blue street and the numerous lateral streets, where you can fully enjoy this experience. On the ‘Buda Castle’ you can find a few famous monuments such as the Matthias Church, Fisherman's bastion and the Tancsics Mihaly Street. A single day would not be enough to see everything there is to see in this city. Lake Balaton is Central Europe's largest lake with a surface of 592km2. It is 79 km long and 15 km wide. This ' Hungarian Sea ' is a paradise for those who love swimming and water sports vacations. Additionally, it is a part of the national park of Lake Balaton. For artists and painters it very often is a source of inspiration, during each one of the four seasons. Jozsef Egry is one of these painters, and you can see part of his paintings in the museum in Badacsony. 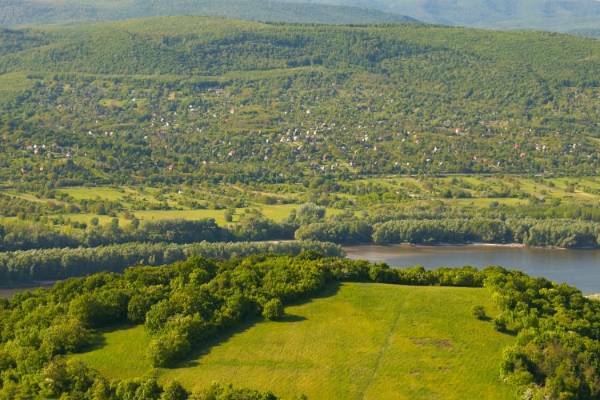 In this same region on the north shore, you will also see various vineyards in the countryside, as in Csopak, Badacsony and Zanka or the fertile valleys of Scisco. These wines get more and more famous every year. Hungary is a great year round holiday destination. Enjoy a beautiful, active and unique vacation with a holiday home in Hungary. The country is always promising and varied, just perfect for an affordable break from the mundane. You can enjoy walking and cycling here on the Puzsta grassland and depending on the location, you can opt for adventure or relaxation. If you're looking for something special, you can enjoy a first-class golfing holiday, or you can go hunting among nature. The offer is varied and exciting when it comes to a holiday in Hungary, especially when you consider that the country is not very large in terms of area. The landscape is varied though: think of the Danube Bend, lake Balaton, lake Tisza and nature reserves such as the Aggtelek National Park with its numerous caves, or the Kiskunság National Park with its marshes, reed beds and forests. A perfect opportunity to get in touch with nature and leave the pressure of the modern world behind for a while. A holiday in Hungary allows everyone to enjoy a wide range of water sports at the largest lake in Central Europe, Lake Balaton. Fill your days with activities like swimming, surfing, sailing and sunbathing here and you'll feel completely rejuvenated after your time spent here. This lake, also known as the Hungarian Sea, is 79 km long by 15 km wide and the shallow water warms up quickly making it ideal for families with children. And with a child-friendly holiday home in Hungary, you get even more peace of mind, so your vacation can be a truly carefree one. In the middle of the lake there is the Tihany peninsula, home to a historic Benedictine Abbey, and accessible by boat, so when you want to change the scenery from water sports and water fun, this can be a perfect escape. A wellness break can also work wonders on your physical and psychological state, Lake Héviz lies close to Balaton's western shore and is the second largest thermal lake in the world. Go medieval this holiday season with a family holiday in Hungary! When it comes to culture here most people think of the traditional blue and black clad cowboys of the Puszta, or the sites of the capital city of Budapest. However, this year why not take a boat or train ride back in time to the historic town of Visegrád, situated on the picturesque Danube bend? You'll get plenty of exercise climbing the hill to the Upper Castle, then regain your breath as you walk down to the Danube where along the way you'll pass Solomon's Tower where the infamous Vlad Tepes, aka Dracula, was once held prisoner. Continue on to the 14th century Royal Palace below where in July you can enjoy the International Palace Games complete with medieval fair. Hungry for more adventure? Nearby you can get your thrills on a zip line course or enjoy cycling or hiking among the neighboring hills. There's even a historic spa complex nearby if you would prefer to end your medieval adventure with a wellness break. Just perfect for a fabulous time in this European country.